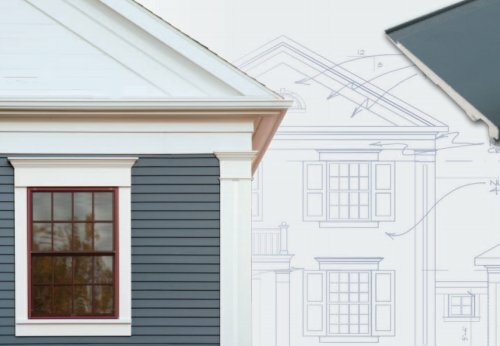 The Ebricks.com Siding guide offers information about companies such as Heartland Siding and Faux Panels. Manufacturer of factory pre-finished architectural siding, trim and shingles in a PVC material that replicates the look of cedar. "They don't make wood like the used to" this company proclaims, but you can buy antique flooring, beams, mantels and siding from the specialty mill. Trestlewood, the signature product of this small family-owned company, comes from the mighty trestles of train tracks that crossed Utah's Great Salt Lake. Serving the roofing industry for a century -- today with a wide line of products in many styles and price categories. In addition to its own brands, the company also owns and sells Bird, GS Roofing and Celotex. Ohio company Crane Performance Siding manufactures vinyl siding, insulated cladding and synthetic stone columns. Starting with kiln dried western red cedar, Cedar Valley Manufacturing makes a complete line of shingle siding and accessories. Grid wall type insulated concrete form (ICF) blocks with superior characteristics: R-52 insulation value; four-hour fire rating; 0 VOC's; and less than half the steel and concrete of a typical ICF. Pre-stained siding products including cedar siding, cedar shingles, cedar panels, log siding, and fiber cement siding. Also: plank flooring. Company delivers products nationally. 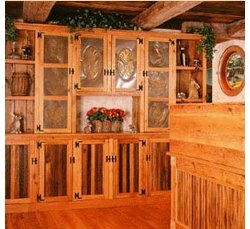 Manufacturer of stone veneers designed to replicate natural quarry stone. Site includes technical data and installation instructions for products. You'll find Patten, Maine, deep in the north woods - roughly in the middle of nowhere. This is where you'll also find Ward Clapboard Mill, a fourth-generation family business that makes quartersawn clapboards the same way today as they were made in the 18th and 19th centuries. Solid PVC mimics the look and color of historic siding.